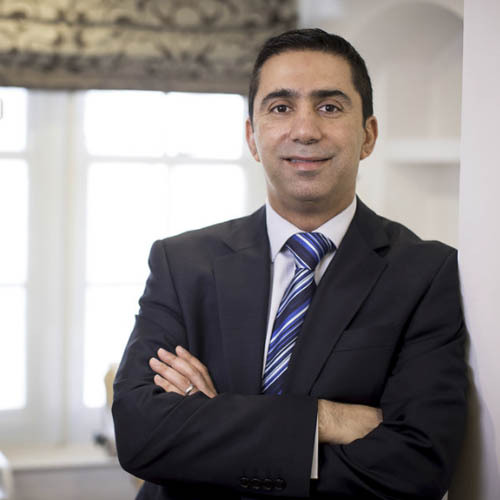 Dr Zaid Aldin is a Consultant Vascular and Interventional Radiologist. He specialises in all aspects of vascular intervention with a special interest in complex aneurysm repair, treatment of arteriovenous abnormalities, and imaging and treatment of varicose veins. He also offers treatments for pelvic congestion syndrome and varicocele. Dr Aldin completed basic surgical training in Colchester and vascular interventional fellowship training in Imperial College Healthcare Trust in London. He is European Board Certified in vascular and non vascular intervention (EBIR). He is a faculty in the Imperial Interventional Radiology Training Course. Dr Aldin has been a practising consultant for 7 years. He is a fellow of the Royal College of Radiologists in the UK (FRCR) and a member of the Royal College of Surgeons in Glasgow, the British Society of Interventional Radiology (BSIR), the Cardiovascular and Interventional Radiology Society of Europe (CIRSE) and the American College of Phlebology. Dr Aldin has a longstanding interest in research and is currently undertaking a part-time PhD project. He is a co-author on multiple papers in peer-reviewed journals and continuously presents his work in national and International meetings. Zaid enjoys motivating and training his interventional radiology trainees.